PostGIS EWKB/EWKT add 3dm,3dz,4d coordinates support and embedded SRID information. 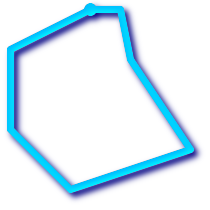 PostGIS prior to 1.4 does not support compound curves in a curve polygon, but PostGIS 1.4 and above do support the use of Compound Curves in a Curve Polygon. The basis for the PostGIS geographic type is a sphere. The shortest path between two points on the sphere is a great circle arc. That means that calculations on geographies (areas, distances, lengths, intersections, etc) must be calculated on the sphere, using more complicated mathematics. For more accurate measurements, the calculations must take the actual spheroidal shape of the world into account, and the mathematics becomes very complicated indeed. It uses a data type called geography . None of the GEOS functions support the geography type. As a workaround one can convert back and forth between geometry and geography types. Prior to PostGIS 2.2, the geography type only supported WGS 84 long lat (SRID:4326). For PostGIS 2.2 and above, any long/lat based spatial reference system defined in the spatial_ref_sys table can be used. You can even add your own custom spheroidal spatial refence system as described in geography type is not limited to earth . Regardless which spatial reference system you use, the units returned by the measurement ( ST_Distance , ST_Length , ST_Perimeter , ST_Area ) and for input of ST_DWithin are in meters. The geography type uses the PostgreSQL 8.3+ typmod definition format so that a table with a geography field can be added in a single step. All the standard OGC formats except for curves are supported. The geography fields don't get registered in the geometry_columns . They get registered in a view called geography_columns which is a view against the system catalogs so is always automatically kept up to date without need for an AddGeom... like function. Note that the location column has type GEOGRAPHY and that geography type supports two optional modifier: a type modifier that restricts the kind of shapes and dimensions allowed in the column; an SRID modifier that restricts the coordinate reference identifier to a particular number. Testing different lon/lat projects, requires PostGIS 2.2+. Any long lat spatial reference system listed in spatial_ref_sys table is allowed. 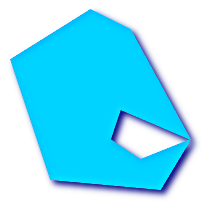 As with GEOMETRY, we recommend that when you have very large polygons, but are doing queries in small areas, you "denormalize" your geometric data into smaller chunks so that the index can effectively subquery parts of the object and so queries don't have to pull out the whole object every time. Just because you *can* store all of Europe in one polygon doesn't mean you *should*. There are two OpenGIS meta-data tables: SPATIAL_REF_SYS and GEOMETRY_COLUMNS . The SPATIAL_REF_SYS table holds the numeric IDs and textual descriptions of coordinate systems used in the spatial database. Although the PostGIS spatial_ref_sys table contains over 3000 of the more commonly used spatial reference system definitions that can be handled by the proj library, it does not contain all known to man and you can even define your own custom projection if you are familiar with proj4 constructs. Keep in mind that most spatial reference systems are regional and have no meaning when used outside of the bounds they were intended for. Some of the more commonly used spatial reference systems are: 4326 - WGS 84 Long Lat , 4269 - NAD 83 Long Lat , 3395 - WGS 84 World Mercator , 2163 - US National Atlas Equal Area , Spatial reference systems for each NAD 83, WGS 84 UTM zone - UTM zones are one of the most ideal for measurement, but only cover 6-degree regions. Various US state plane spatial reference systems (meter or feet based) - usually one or 2 exists per US state. Most of the meter ones are in the core set, but many of the feet based ones or ESRI created ones you will need to pull from spatialreference.org . For details on determining which UTM zone to use for your area of interest, check out the utmzone PostGIS plpgsql helper function . The name of the standard or standards body that is being cited for this reference system. For example, "EPSG" would be a valid AUTH_NAME . The ID of the Spatial Reference System as defined by the Authority cited in the AUTH_NAME . In the case of EPSG, this is where the EPSG projection code would go. For a listing of EPSG projection codes and their corresponding WKT representations, see http://www.opengeospatial.org/ . For a discussion of WKT in general, see the OpenGIS "Coordinate Transformation Services Implementation Specification" at http://www.opengeospatial.org/standards . For information on the European Petroleum Survey Group (EPSG) and their database of spatial reference systems, see http://www.epsg.org . For more information about, see the Proj4 web site at http://trac.osgeo.org/proj/ . The spatial_ref_sys.sql file contains both SRTEXT and PROJ4TEXT definitions for all EPSG projections. The fully qualified name of the feature table containing the geometry column. Note that the terms "catalog" and "schema" are Oracle-ish. There is not PostgreSQL analogue of "catalog" so that column is left blank -- for "schema" the PostgreSQL schema name is used ( public is the default). The ID of the spatial reference system used for the coordinate geometry in this table. It is a foreign key reference to the SPATIAL_REF_SYS . For backwards compability, you can still create a spatial table in two stages using the management functions. Create a normal non-spatial table. Add a spatial column to the table using the OpenGIS "AddGeometryColumn" function. Refer to AddGeometryColumn for more details. The AddGeometryColumn() approach creates a geometry column of specified type. 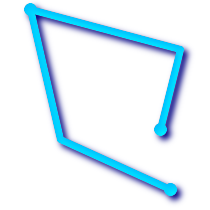 This type and dimension are queryable from the geometry_columns view. Starting with PostGIS 2.0, geometry_columns is no longer editable and all geometry columns are autoregistered. If your geometry columns were created as generic in a table or view and no constraints applied, they will not have a dimension, type or srid in geometry_columns views, but will still be listed. Two of the cases where this may happen, but you can't use AddGeometryColumn, is in the case of SQL Views and bulk inserts. For bulk insert case, you can correct the registration in the geometry_columns table by constraining the column or doing an alter table. For views, you could expose using a CAST operation. Note in PostGIS 2.0+ if your column is typmod based, the creation process would register it correctly, so no need to do anything. Also views that have no spatial function applied to the geometry will register the same as the underlying table geometry column. 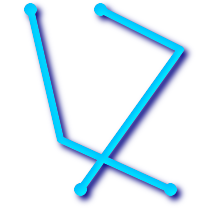 According to the OGC Specifications, a simple geometry is one that has no anomalous geometric points, such as self intersection or self tangency and primarily refers to 0 or 1-dimensional geometries (i.e. [MULTI]POINT, [MULTI]LINESTRING ). Geometry validity, on the other hand, primarily refers to 2-dimensional geometries (i.e. [MULTI]POLYGON) and defines the set of assertions that characterizes a valid polygon. The description of each geometric class includes specific conditions that further detail geometric simplicity and validity. MULTIPOINT s are simple if no two coordinates ( POINT s) are equal (have identical coordinate values). (a) and (c) are simple LINESTRING s, (b) and (d) are not. 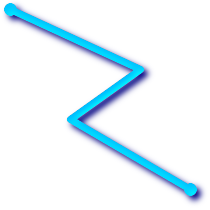 A MULTILINESTRING is simple only if all of its elements are simple and the only intersection between any two elements occurs at POINT s that are on the boundaries of both elements. (e) and (f) are simple MULTILINESTRING s, (g) is not. 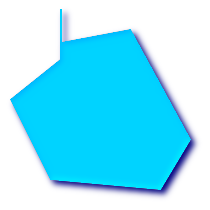 By definition, a POLYGON is always simple . It is valid if no two rings in the boundary (made up of an exterior ring and interior rings) cross. The boundary of a POLYGON may intersect at a POINT but only as a tangent (i.e. not on a line). 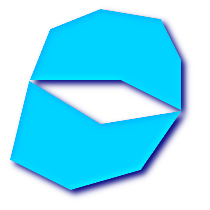 A POLYGON may not have cut lines or spikes and the interior rings must be contained entirely within the exterior ring. 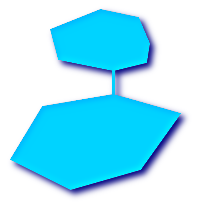 (h) and (i) are valid POLYGON s, (j-m) cannot be represented as single POLYGON s, but (j) and (m) could be represented as a valid MULTIPOLYGON . 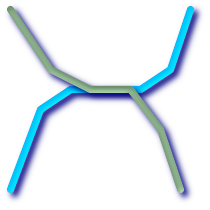 A MULTIPOLYGON is valid if and only if all of its elements are valid and the interiors of no two elements intersect. The boundaries of any two elements may touch, but only at a finite number of POINT s.
(n) and (o) are not valid MULTIPOLYGON s. (p) , however, is valid. If you encounter any strange error messages such as "GEOS Intersection() threw an error!" or "JTS Intersection() threw an error!" 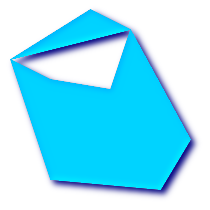 when calling PostGIS functions with valid input geometries, you likely found an error in either PostGIS or one of the libraries it uses, and you should contact the PostGIS developers. The same is true if a PostGIS function returns an invalid geometry for valid input. It is sometimes the case that the typical spatial predicates ( ST_Contains , ST_Crosses , ST_Intersects , ST_Touches , ...) are insufficient in and of themselves to adequately provide that desired spatial filter. 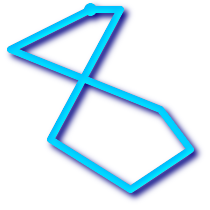 One two-step solution might be to first perform the actual intersection ( ST_Intersection ) of pairs of road segments that spatially intersect ( ST_Intersects ), and then compare the intersection's ST_GeometryType with ' LINESTRING ' (properly dealing with cases that return GEOMETRYCOLLECTION s of [MULTI]POINT s, [MULTI]LINESTRING s, etc.). According to the OpenGIS Simple Features Implementation Specification for SQL , "the basic approach to comparing two geometries is to make pair-wise tests of the intersections between the Interiors, Boundaries and Exteriors of the two geometries and to classify the relationship between the two geometries based on the entries in the resulting 'intersection' matrix." The boundary of a geometry is the set of geometries of the next lower dimension. For POINT s, which have a dimension of 0, the boundary is the empty set. The boundary of a LINESTRING are the two endpoints. For POLYGON s, the boundary is the linework that make up the exterior and interior rings. The interior of a geometry are those points of a geometry that are left when the boundary is removed. For POINT s, the interior is the POINT itself. 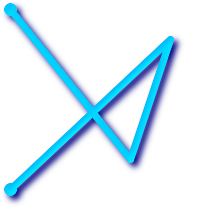 The interior of a LINESTRING are the set of real points between the endpoints. 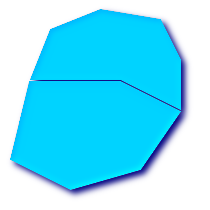 For POLYGON s, the interior is the areal surface inside the polygon. Read from left to right and from top to bottom, the dimensional matrix is represented, ' 212101212 '. 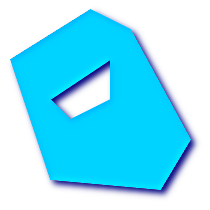 This operator tells whether the bounding box of one geometry intersects the bounding box of another. 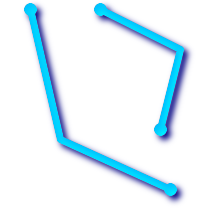 This operator is a little more naive, it only tests whether the bounding boxes of two geometries are the same. 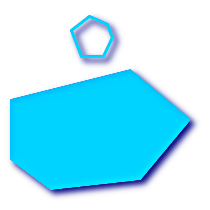 The above query will use the bounding box of the polygon for comparison purposes. 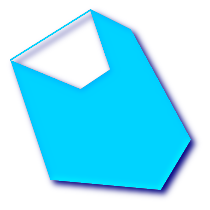 For backward compatibility: write a 3-dimensional shape file when dumping from old (pre-1.0.0) postgis databases (the default is to write a 2-dimensional shape file in that case). Starting from postgis-1.0.0+, dimensions are fully encoded. Indexes are what make using a spatial database for large data sets possible. Without indexing, any search for a feature would require a "sequential scan" of every record in the database. Indexing speeds up searching by organizing the data into a search tree which can be quickly traversed to find a particular record. PostgreSQL supports three kinds of indexes by default: B-Tree indexes, R-Tree indexes, and GiST indexes. B-Trees are used for data which can be sorted along one axis; for example, numbers, letters, dates. GIS data cannot be rationally sorted along one axis (which is greater, (0,0) or (0,1) or (1,0)?) so B-Tree indexing is of no use for us. 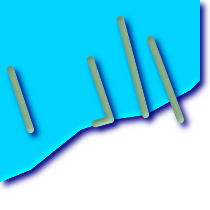 R-Trees break up data into rectangles, and sub-rectangles, and sub-sub rectangles, etc. R-Trees are used by some spatial databases to index GIS data, but the PostgreSQL R-Tree implementation is not as robust as the GiST implementation. GiST indexes have two advantages over R-Tree indexes in PostgreSQL. Firstly, GiST indexes are "null safe", meaning they can index columns which include null values. Secondly, GiST indexes support the concept of "lossiness" which is important when dealing with GIS objects larger than the PostgreSQL 8K page size. Lossiness allows PostgreSQL to store only the "important" part of an object in an index -- in the case of GIS objects, just the bounding box. GIS objects larger than 8K will cause R-Tree indexes to fail in the process of being built. Currently, just the "inclusion support" is considered here, meaning that just && , ~ and @ operators can be used for the 2D cases (both for "geometry" and for "geography"), and just the &&& operator can be used for the 3D geometries. There is no support for kNN searches at the moment. Ordinarily, indexes invisibly speed up data access: once the index is built, the query planner transparently decides when to use index information to speed up a query plan. Unfortunately, the PostgreSQL query planner does not optimize the use of GiST indexes well, so sometimes searches which should use a spatial index instead default to a sequence scan of the whole table. Firstly, make sure statistics are gathered about the number and distributions of values in a table, to provide the query planner with better information to make decisions around index usage. For PostgreSQL 7.4 installations and below this is done by running update_geometry_stats([table_name, column_name]) (compute distribution) and VACUUM ANALYZE [table_name] [column_name] (compute number of values). Starting with PostgreSQL 8.0 running VACUUM ANALYZE will do both operations. You should regularly vacuum your databases anyways -- many PostgreSQL DBAs have VACUUM run as an off-peak cron job on a regular basis. If vacuuming does not work, you can force the planner to use the index information by using the SET ENABLE_SEQSCAN=OFF command. You should only use this command sparingly, and only on spatially indexed queries: generally speaking, the planner knows better than you do about when to use normal B-Tree indexes. Once you have run your query, you should consider setting ENABLE_SEQSCAN back on, so that other queries will utilize the planner as normal. As of version 0.6, it should not be necessary to force the planner to use the index with ENABLE_SEQSCAN . If you find the planner wrong about the cost of sequential vs index scans try reducing the value of random_page_cost in postgresql.conf or using SET random_page_cost=#. Default value for the parameter is 4, try setting it to 1 or 2. Decrementing the value makes the planner more inclined of using Index scans. As of PostGIS 1.3.0, most of the Geometry Relationship Functions, with the notable exceptions of ST_Disjoint and ST_Relate, include implicit bounding box overlap operators.